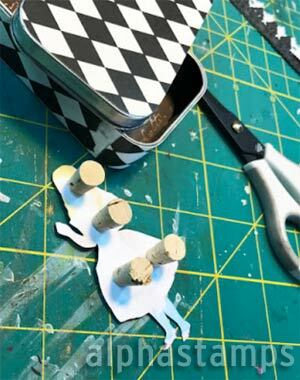 (After painting my tin black) I glued my pre-cut papers on the tin and then I glued little corks on the back of my Alice to bring her forward in the tin, and did the same for a couple of the paper roses so that they were at different depths inside the tin. The corks work out well as they are light weight and tapered and easy to work with. Breaking in here briefly: great idea about the corks! 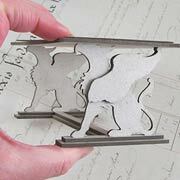 Plus they’re tall (thicker than sticky foam) so you can get Alice to pop out to the front of the tin quicker. I added Dresden Trim to the outside edge of the tin, then glued the insert on to the top edge of the tin. after that dried, I glued on the Altoids Topper to the top and let it dry. After it dried, I added white dots (using white acrylic paint and a brush) to the insert as it needed some detail and glued a red paper rose to the top center of the Altoids Topper. I also trimmed out the edge of the topper with some Black Diamond Stickles. Because glitter. Oh, and I wanted to put something odd in her hand and I thought this little five of hearts dude was just the right size and I loved his expression. Kind of WTH?!! I agree… that little guy has a great expression! Here’s Lora’s supply list and see more of her tutorial on her blog post. AND see the Giveaway below for another project by Lora! Ohh… I love the new molds! So many new things to mention today, they’re not all covered in the previews below! Click here to see them all! 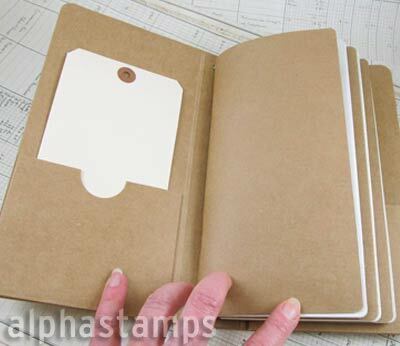 ALL Scrapbook Paper ON SALE! 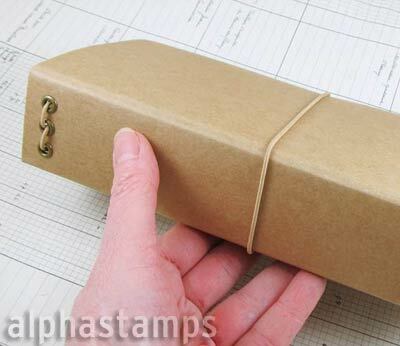 This is a 25% off sale on a big section of paper (all the single sheets)! Over 120 options… including the highlights below! The sale ends at midnight on Monday night, April 22nd. Click: FLASH SALE to see everything! Two cute little projects! 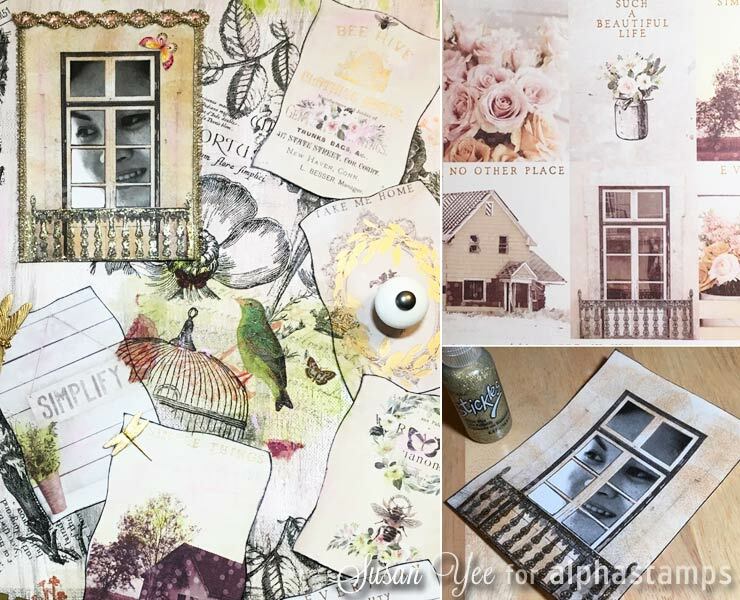 First, in honor of the (back in stock) Maps, Text & Ledgers 8×8 Paper Set, I’m including that paper set (shown at left in a project by Teri Calia) AND the Matchbox Skyline Book AND the House Ornament Window Trims that Teri used! To enter the Two Tiny Projects Giveaway drawing all you have to do is leave a comment BELOW on this blog post TODAY or TOMORROW (the deadline is 11:59 pm PST, Monday Night, April 22, 2019). 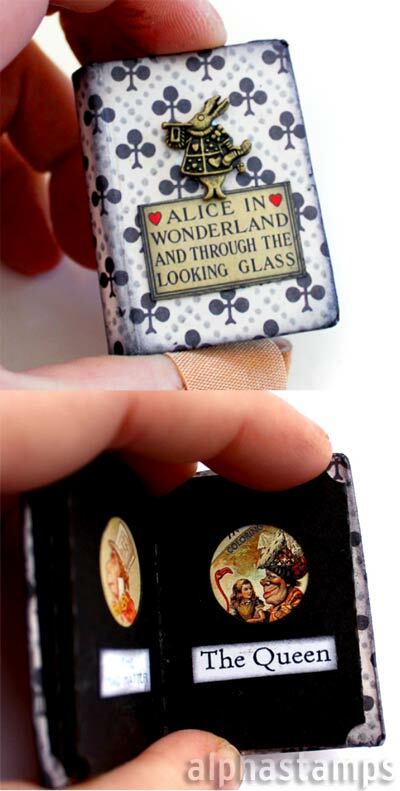 Hey, who won the Tiny Alice Accordion Book Giveaway from Thursday’s newsletter? That would be Angie M! Congrats! Check your email for info. 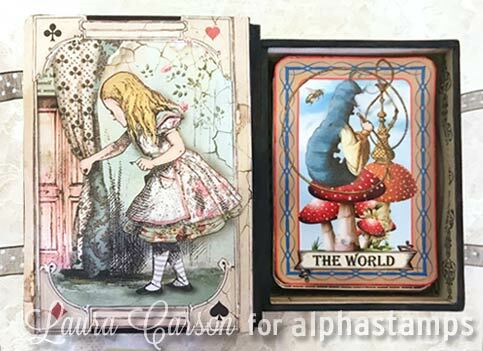 TWO Alice Projects by Nichola; Plus Christmas?! The top layer is just painted and inked and stamped, not covered in paper at all. When put in place, I’ve filled the suit crevice with Glossy Accents, and the whole thing grunged up. Brilliant! And, of course, Nichola fussy-cut the characters (and the text banners) to sit on top (raised up by a bit of sticky foam). 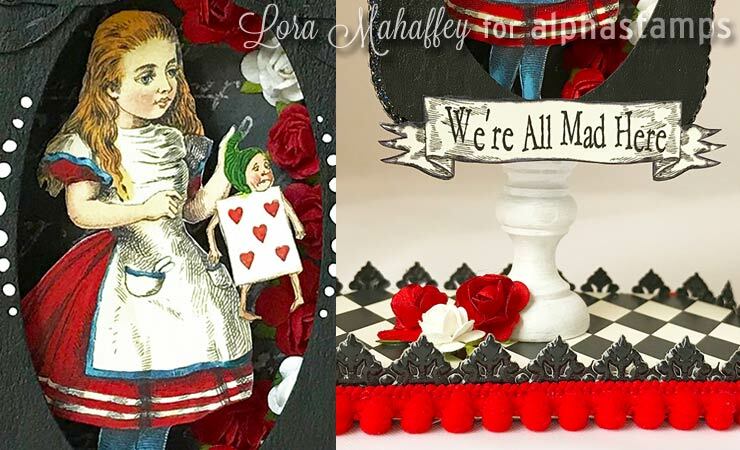 Here’s a link to all the supplies Nichola used (note: that includes the supplies for PART TWO of the Alice project by Nichola… more info on the second half is below in the Giveaway section). 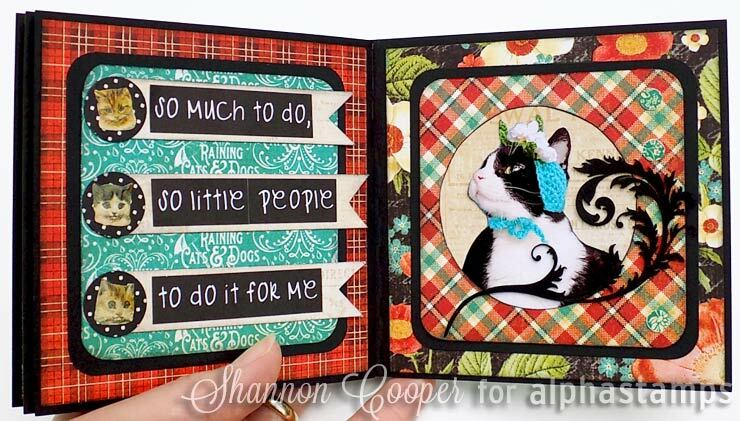 Be sure to visit Nichola’s blog post for more info on how she made these beautiful cards! Lots of CHRISTMAS things are Back in Stock! Here’s a link to everything new or back in stock today (just a few highlighted below… really: 21 items are at that link). Keep reading (too) as there’s a HUGE related sale! Everything Christmas ON SALE – 25% off! This is a HUGE group: 300 items, including all those back in stock items I just mentioned! The sale ends at midnight TOMORROW NIGHT, April 19th. 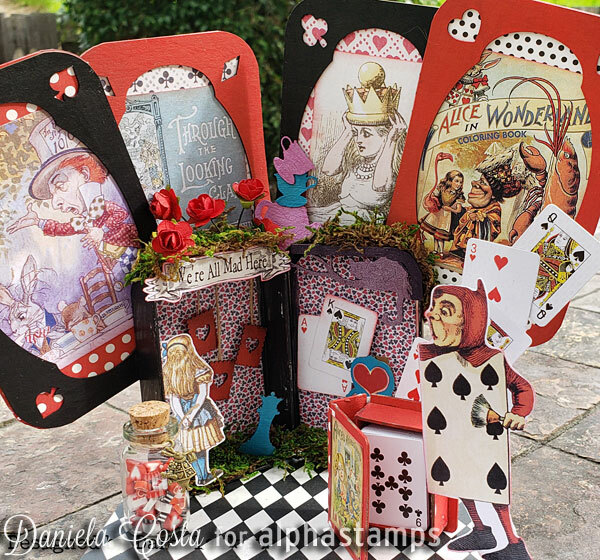 Tiny Alice Accordion Book Giveaway! Eek! So cute! 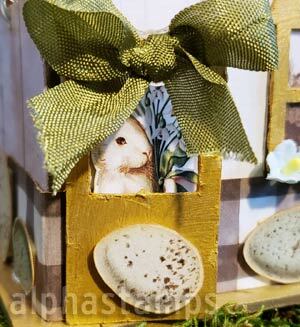 Nichola made a whole nuther project today WITH A TUTORIAL! Yay! (See the wide photo below for a preview on the tute.) See the whole thing at a separate blog post: A Visit to Wonderland Part II: Wee Wonderland Accordion Book with Tutorial. 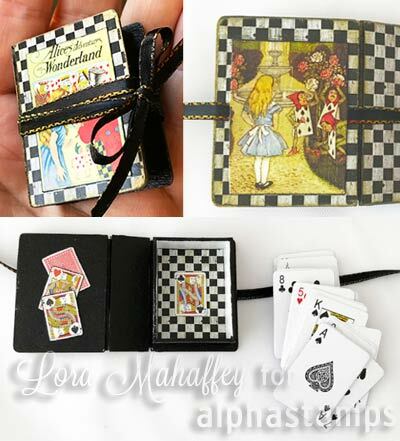 To enter the Tiny Alice Accordion Book Giveaway drawing all you have to do is leave a comment BELOW on this blog post TODAY or TOMORROW (the deadline is 11:59 pm PST, Friday Night, April 19, 2019). And what are you going to make? An Alice book? A Christmas book? Not even a book at all? 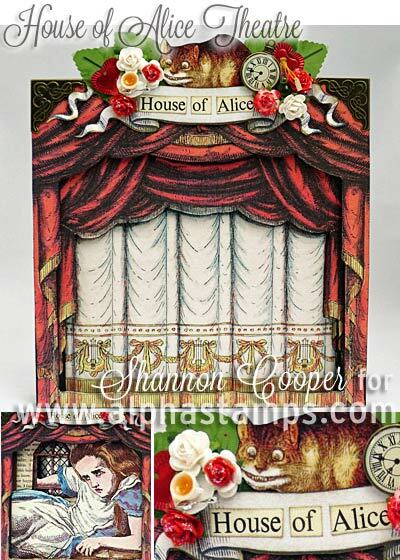 Hey, who won the House of Alice Giveaway from Sunday’s newsletter? 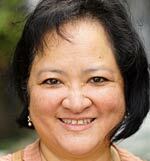 That would be Diane Alterman! Congrats! Check your email for info. 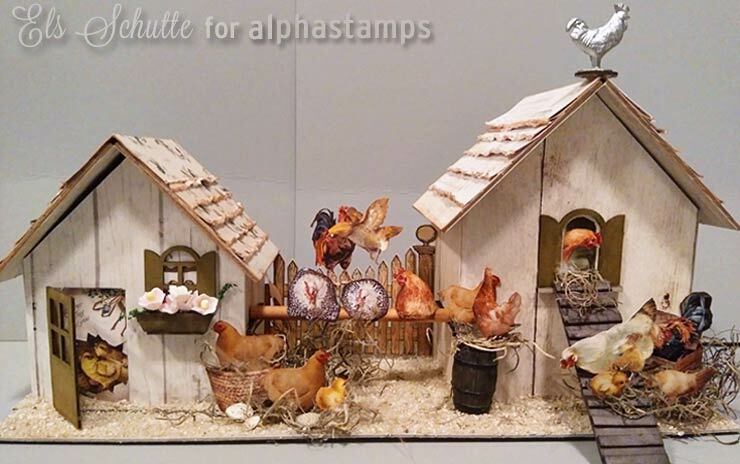 We’re revisiting the March Spring Farmhouse Kit today with a project by new Design Team Member Els Schutte. 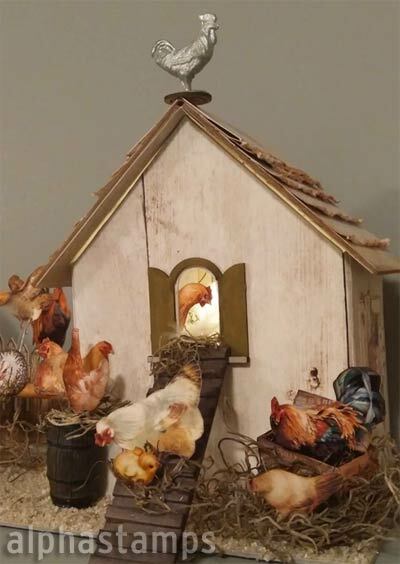 Beside a totally cute little scene with chickens, note that Els made an accordion album, too — and a roof for the house on the left that hides the album when it’s inside! Plus Els made a second, bigger house in the same style with a window cut-out sized for one of the windows from the Mini House Doors & Windows set… see the small photo at right for an optional view with a light inside! Here’s a link to all the supplies Els used. 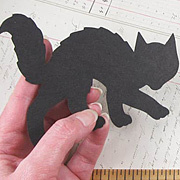 AND Els provides a step-by-step tutorial on how she made the whole scene! ALL Halloween Charms ON SALE – 40% off! This is a big group: 35 items, including all those back in stock items I just mentioned! The sale ends at midnight TOMORROW NIGHT, April 5th. Back to Laura’s artwork: you can read more in the original post about the Forsaken Cemetery project. 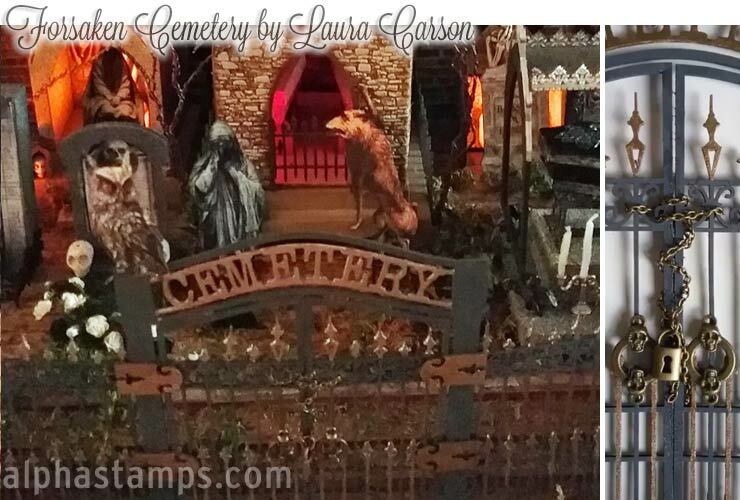 To enter the Forsaken Cemetery Giveaway drawing all you have to do is leave a comment BELOW on this blog post TODAY or TOMORROW (the deadline is 11:59 pm PST, Friday Night, April 5, 2019). 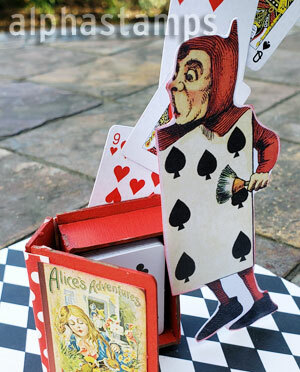 Hey, who won the Alice Accordion Book Kit Giveaway from Sunday’s newsletter? 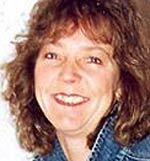 That would be Gail S! Congrats! Check your email for info. 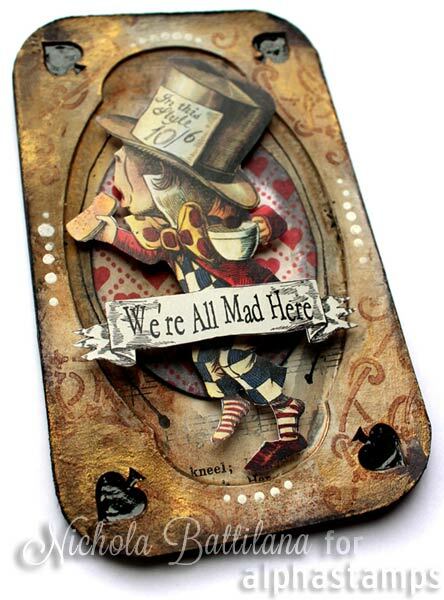 New Art Doll; New Team Member; Bees & Hats; BIG Collage Sheet Sale! 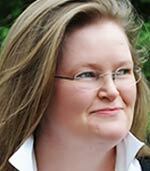 I was a late-blooming artist, finding creativity near 40. That was a loooong time ago. Since then I’ve dabbled in all kinds of media and still have more to explore. 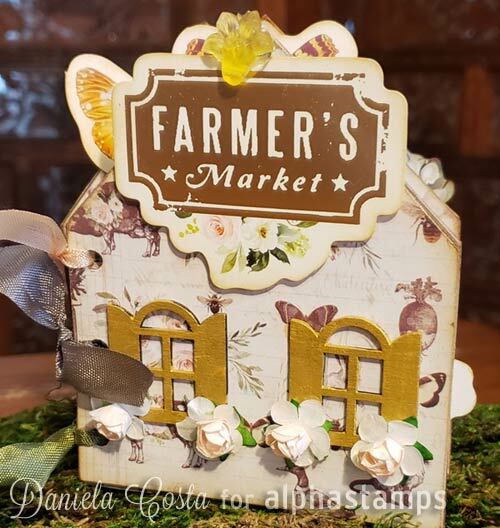 I make shadow boxes using found objects, paper whimsies with a vintage flair, and assemblage jewelry with vintage bits and pieces. I have a soft spot for overly embellished greeting cards. I’m a vintage & antique costume jewelry dealer. I collect vintage rhinestone jewelry from the heyday of affordable bling and I’m probably wearing something old and sparkly right now! Hello crafty friends! 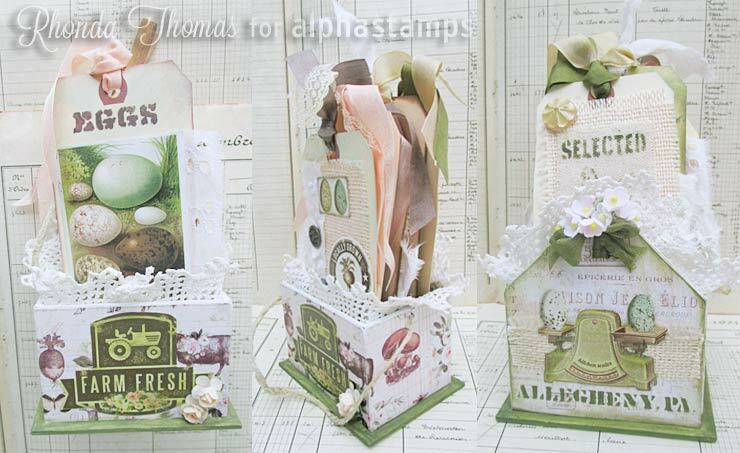 The March Kit from Alpha Stamps is “Spring Farmhouse”-themed. How cute! 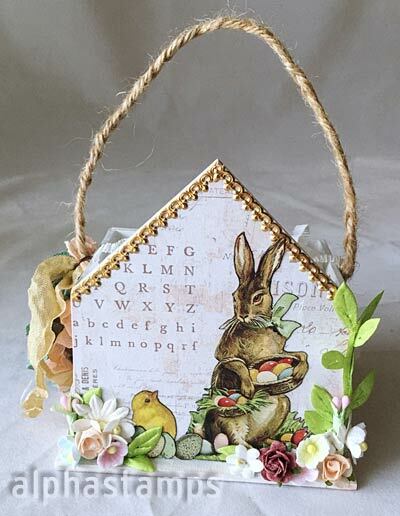 It comes with this house-shape basket as well as pretty papers and Easter collage sheets. I’ve added a white picket fence around the outside and hid a few eggs in the flowers. I used a Cathe Holden Stencil on the inside. Since the house is wee, I stenciled it in three stages, allowing each one to dry before adding the next. In the second photo you can see how I lined up the rooster, select, and eggs in a column to fit the small space. 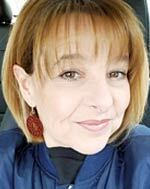 There’s much more to see in Susan’s blog post and/or her supply list. And don’t forget to come back to see some new goodies and the FLASH SALE! 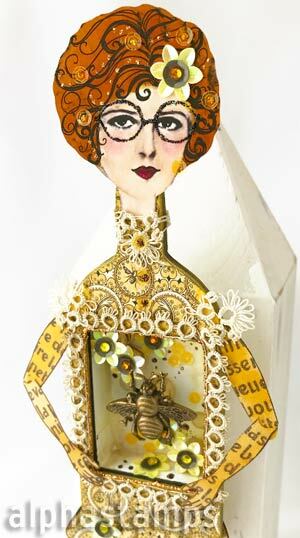 Aw… Lora made a fun art doll with the new Art Doll Nicho (plus one of my fave papers from the Olde Curiosity Shoppe Deluxe Collector’s Edition 12×12 Pack with a clock/bee pattern)! The shadowbox in the art doll set has little flanges to glue to the back of the doll body (see my naked photo of the parts at right). 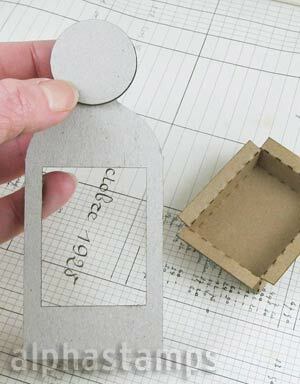 Lora includes lots of step-by-step photos for putting together the little doll in her blog post. 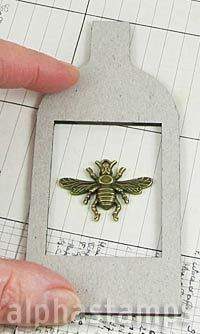 Note: I’m also showing a new bee at left in the window of the art doll for size. 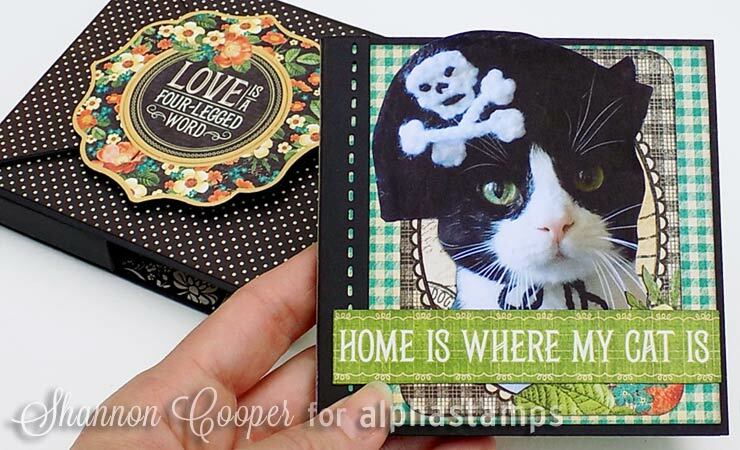 ALL Catnip Designs Collage Sheets ON SALE – 50% off! This is a HUGE group: over 200 items! 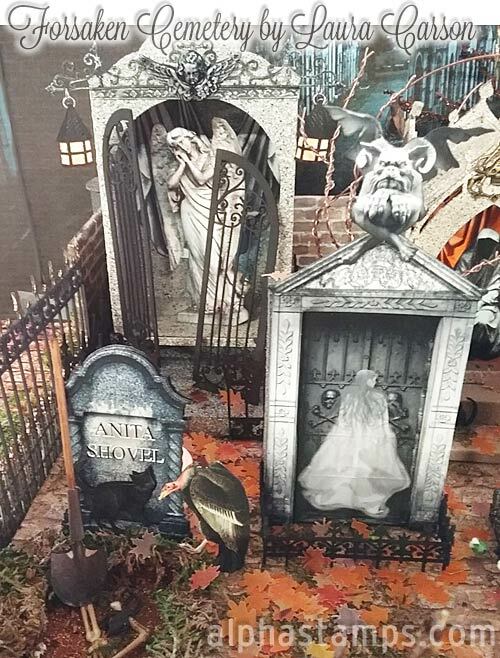 And this group includes tons of styles, from Dollhouse Miniatures, to Christmas, to TONS of Halloween! Just a preview of 3 are shown below (plus my doll picks above; a couple shown at right). The sale ends at midnight TOMORROW NIGHT, March 29th. Ooh! 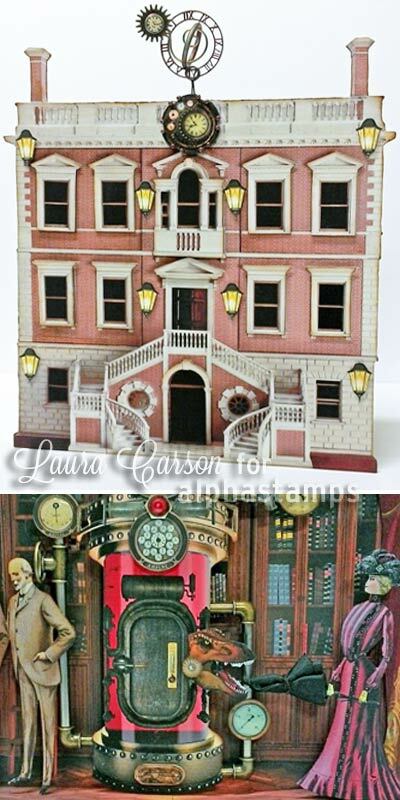 Do you remember the fab Time Machine Shadowbox (shown at right) by Design Team Member Laura Carson? See that astrolabe/clock on top of the building? The outer circle is from the back in stock Steampunk Shapes Set - Hats (also shown directly above it — you can see the clock in the background, behind me holding a hat and a raven). Believe it or not: that beautiful building facade is a digital image (on the outside of a cigar box)! The image (and tons more steampunk treasures) are on the Time Machine Set Download. And some of the images from that set (and repeated on the coordinating Time Machine Collage Sheet) include that fine Victorian woman doing battle with a dinosaur trying to come through the time machine! 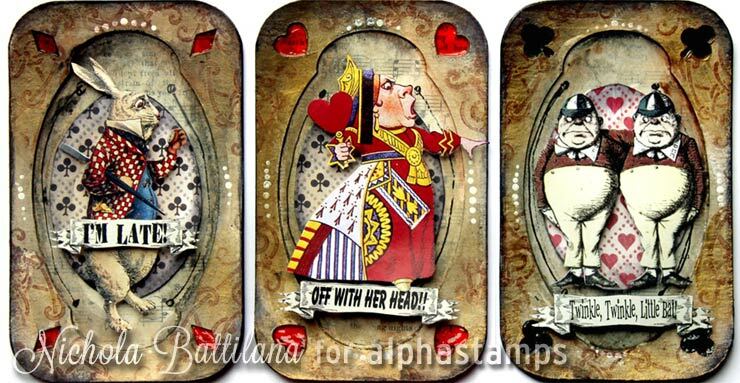 You'll need to supply your own cigar box, but I'm including all 4 of the collage sheets from Laura's project, plus the Steampunk Shapes Set - Hats. 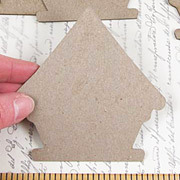 AND the new Little Hats Chipboard Shape Set and Little Crowns Chipboard Shape Set (not in the artwork, but there is a hat theme going on in today's new chipboard... both are shown above to the left of that photo of the Steampunk Shapes Set - Hats; and if you go look at those pages, I've photoed a hat or crown from each set on one of the Alice in Wonderland Collage Sheets for a size idea). 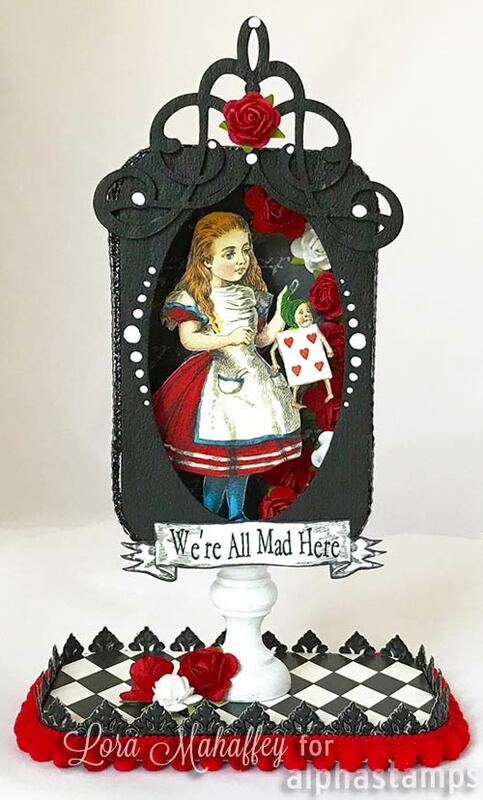 To enter the Time Machine Shadowbox Giveaway drawing all you have to do is leave a comment BELOW on this blog post TODAY or TOMORROW (the deadline is 11:59 pm PST, Friday Night, March 29, 2019). Don't forget to leave your (hello!) correct email address, too, so I can contact the winner; your email address does not need to be made public. Note: I'm offering free shipping, too, but only within the USA. International shipping will still apply. After midnight, I'll randomly pick the winner (via Random.org). Hey, who won the Under the Sea Giveaway from Sunday's newsletter? That would be Rosalie Lunger! Congrats! Check your email for info. New Prima & G45 & Stencils? Lacy Tags? Under the Sea? TWO Sales! Wow! There are some cool new items today that I’ve been awaiting since January! Plus the styles/themes of all the goodies and artwork are so varied, I’m sure you’ll find something you need. And with all the different art styles, I’ve put TWO sections on sale! More info below. 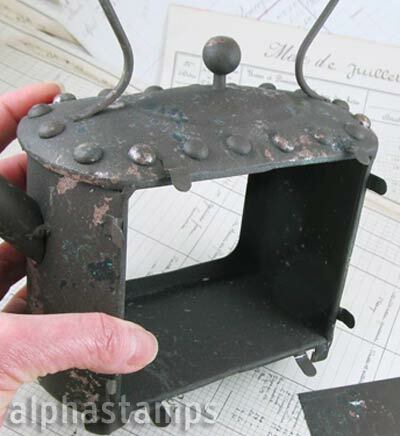 New Rusty Teapot Alterable Metal Frame! 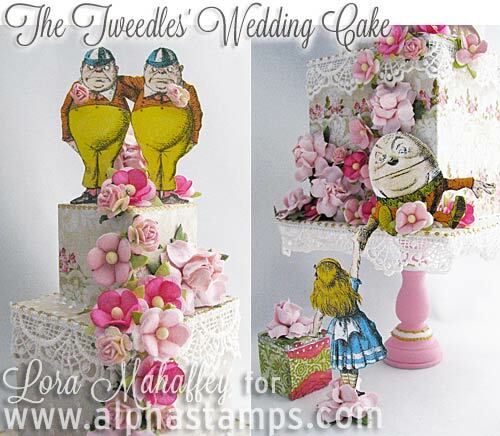 So cool… and screams for an Alice in Wonderland tea party scene! 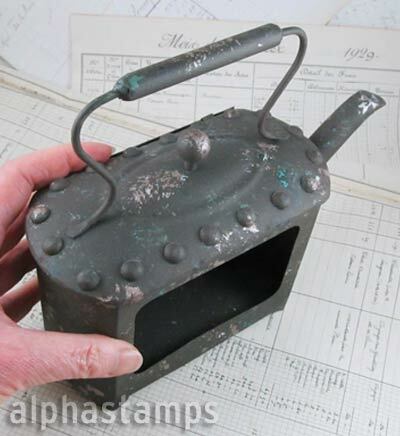 Including the spout, it is approx. 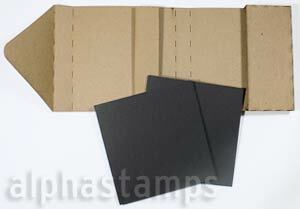 8-1/2″ wide” x 7-1/2″ tall” x 2-3/4″ deep. The back plate is removable so you can decorate the inside easier (I just bent the tabs with my fingers so no extra tools are needed — see the far right photo below). 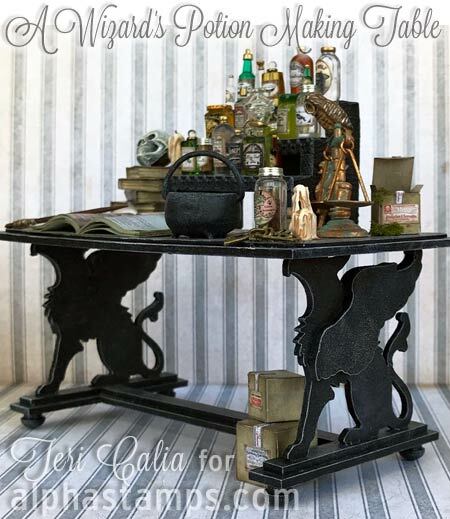 If you are so inclined, I included a photo with a side table and the back of a bookcase in 1:24 scale (to show size — see the first photo below)… which leads me to the first of today’s sales: ALL Half Scale Dollhouse Miniatures are ON SALE! 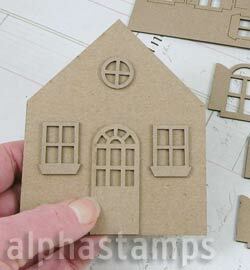 Half Scale Dollhouse Miniatures on SALE at 25% off! 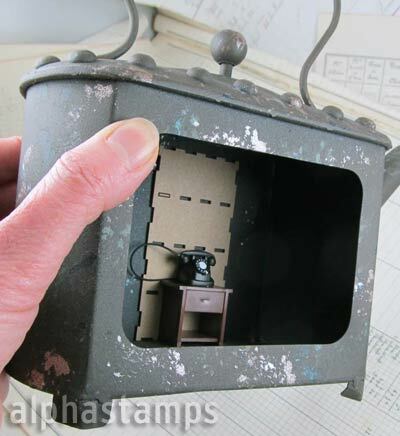 We’ve been expanding this section: 50 items are included in the Half Scale Dollhouse Miniatures Sale! Psst! The sale includes the Half Scale End Table with Vintage Phone and the 1:24 Bookcase I showed for scale in the Rusty Teapot above. The sale ends at midnight TOMORROW NIGHT, March 25th. 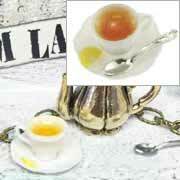 Click: MINIATURES SALE to see everything! Each of the 3 notebooks also has a heavy cover (and the notebook covers also have pockets on the inside of both front and back). 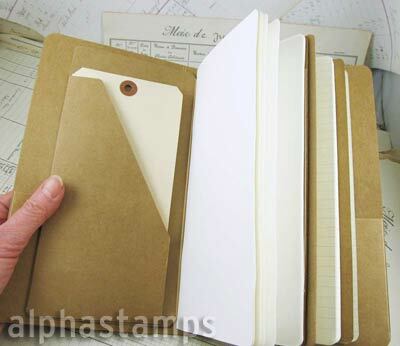 Rearrange the notebooks… take one out to use separately (or to leave out while doodling)… you might want to use only 2 in the album if you go wild and make really thick artwork. The album is approx. 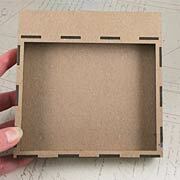 4-3/4″ wide x 8-3/4″ tall x 1-3/4″ deep. Each notebook is approx. 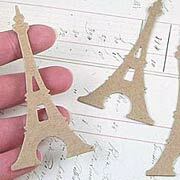 4-1/4″ wide x 8-1/4″ tall. Note: I used a giant manila tag as a prop in a few of the photographs — mainly for color contrast so you can see the various size/shape of pockets. It’s finally Spring and I am ready! How about you? 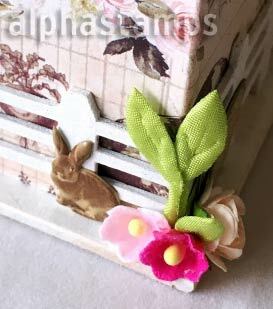 To celebrate, I made this Mini House Front Box that is included in the new Spring Farmhouse Kit. 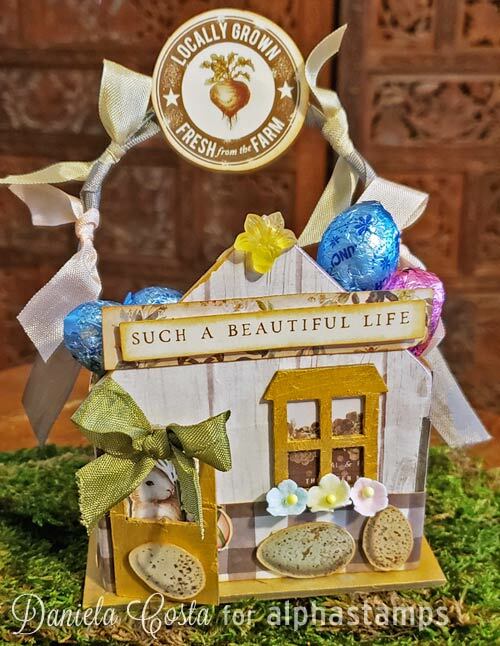 I decided to create some shabby farm-themed tags with bits of vintage paper and fabric along with the papers included in the kit: Spring Farmhouse 8×8 Papers and Eggs and Easter Collage Sheet. I have always been a fan of images of various bird eggs, so this worked perfectly. 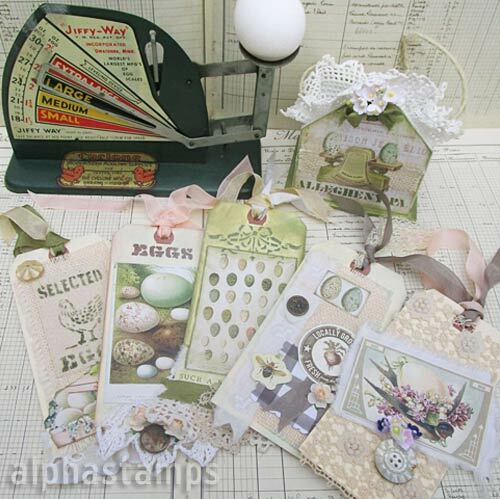 I had some extra goodies to use, the new Cathe Holden Eggs & Alphabet and Lillington Stencils. Just gave me so many options. Today’s 2nd Sale: ALL Lace ON SALE — 50% off! With all those lovely tags that include lace by Rhonda, I thought it was perfect timing: ALL Lace is on SALE at 50% off! Click: LACE SALE to see everything! What? Huh? Yes, in honor of two popular underwater items that have just come back in stock, I’m adding both of them to today’s Giveaway! 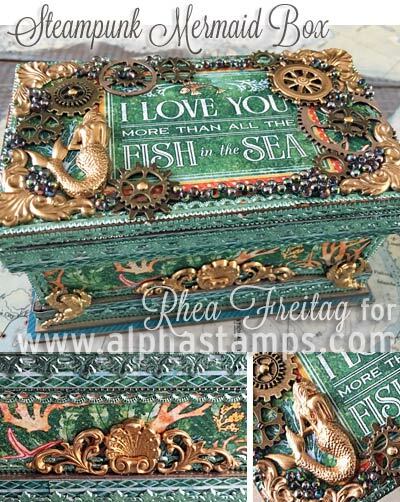 To enter the Under the Sea Giveaway drawing all you have to do is leave a comment BELOW on this blog post TODAY or TOMORROW (the deadline is 11:59 pm PST, Monday Night, March 25, 2019). 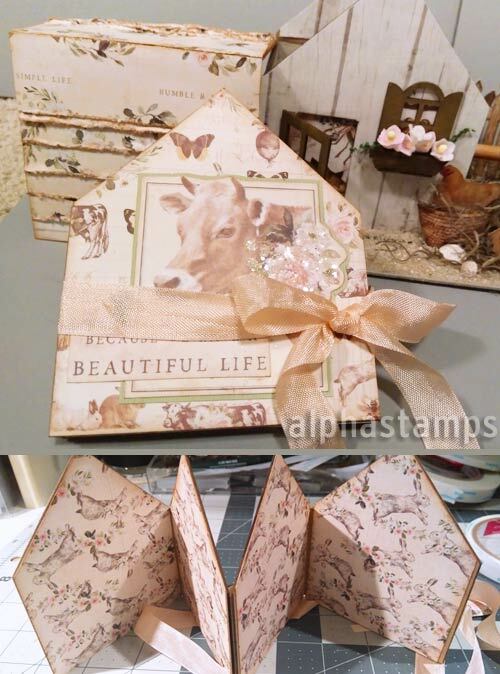 Hey, who won the Farmhouse Mini Album Giveaway from Thursday’s newsletter? That would be Kathy Toews! Congrats! Check your email for info.